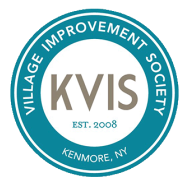 The KVIS Kenmore Independence Day Celebration has become a wonderful tradition for many area families. The event takes place outside at the Village Green on the morning of July 4 and includes patriotic music, games, a bike rodeo and KVIS members dressed and acting as important people from our nations past like George Washington, Betsy Ross, and Abraham Lincoln. There are treats to decorate and eat like star cookies, crafts including duct tape creations, a salute to the original 13 colonies, bike decorating and lots of laughter and fun. Independence Day is really the birthday of our nation; it is our National Day, a celebration and remembrance of our heritage and traditions and it celebrates the signing of the Declaration of Independence on July 4, 1776. Bring yourself, family, friends, and some neighbors for a great patriotic and free time as we celebrate our joy and pride in living in the United States of America. If you’d like to help facilitate this event, please contact us—the Events Committee welcomes your participation.